La Sonora Ponceña - Copacabana Nightclub - 2/13/01. 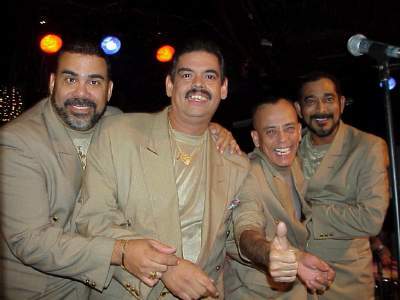 La Sonora Ponceña played thier hot brand of clasic Salsa at the Copacabana Nightclub in New York City on February 13, 2001. In-the-house were members of the Caribbean Soul Dancers and Cultural Explosion, two of New Jersey's best Salsa and Mambo dancers. The house was packed with many Salsa music and dance lovers including members of the Eddie Torres Dancers.